Imprese Falcon srl, part of E.S.P. Holding, is a pioneer of the tourism in Milan, works in the italian tourism market since 2009, the beginning was MilanoCard the first Milan tourist card. Since August 2015, with the affiliated company Tourist Point srl, MilanoCard Group manages some of the most important monuments of Milan like Highline Galleria, the amazing panoramic terraces located on the roof of Galleria Vittorio Emanuele in Milan, Crypt of Leonardo the most ancient underground Church of Milan, the Roman Forum of Milan, Cinema Bianchini, the first experiential cinema organized in breathtaking locations, and ArSe, the archive and the burial ground of Policlinico of Milan. For Expo2015, the Company was official tickets reseller with more than 110.000 tickets sold. In a city where tourism was not considered business, our Company was the first private company to realized, in cooperation with other partners, the largest network of tourist offices located in the city center and also at the airports providing the city a useful tourist information network. 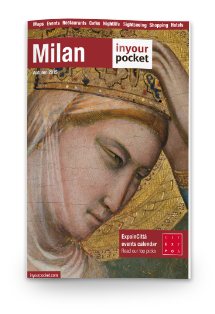 In 2015 MilanoCard was declared by the “Corriere della Sera”, the main italian journal, an “heritage of the city”. Young and dinamyc company, the average age of employees is 28 years, the Group is becoming one of the most important players in the Milan tourism market. It is associated to the local Industrial Association (Assolombarda) where is member of the tourism board and is official partner of the most important players for tourism and transport. To the years, Imprese Falcon received for MilanoCard the official support of the City of Milan, Region Lombardy and Province of Milan. In 2017 the Group was listed by the Financial Time in the FT1000 Europe’s fastest growing companies. 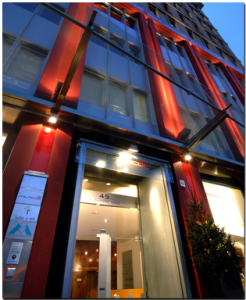 Our Head Quarter is located in the heart of the most frenetical area of Milan, the Central Station Area.